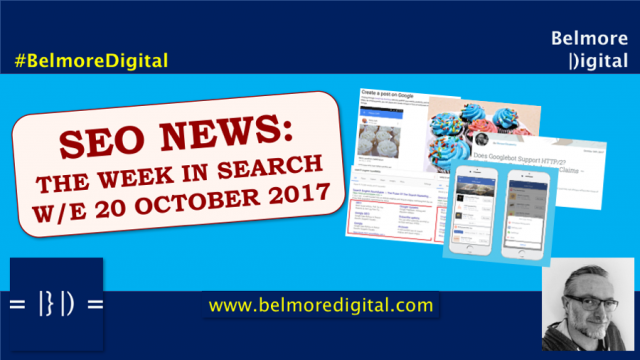 What are the latest SEO News & Updates for w/e 20th October 2017? 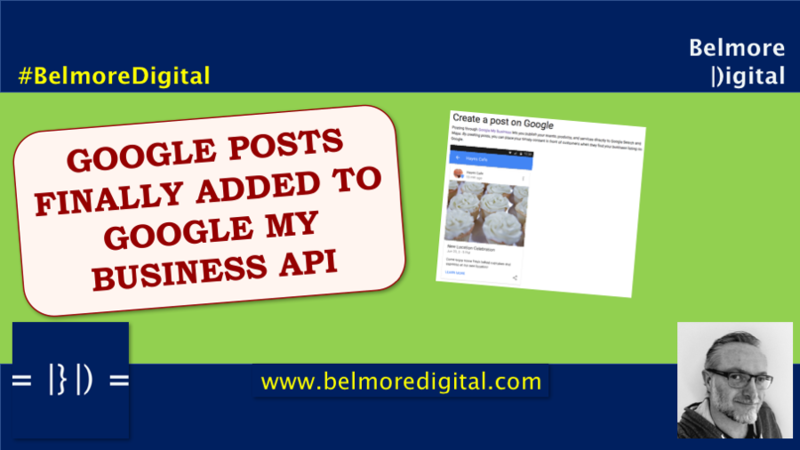 Google Posts which where launched at the end of June (Google Posts Goes Live in Google My Business) have been added to the Google My Business API. This means you can add, update or remove Google My Business post via automation. You can now get your developers busy and actually make use of this nifty little feature. You should be using Google My Business Posts. 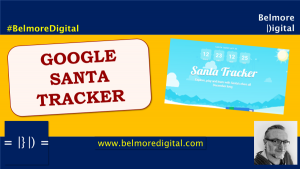 They are a good way to take up increased search real estate, especially for brand searches. With clickable CTAs, they are also a good way to send extra sales your way. Review the things you can do with Google My Business Posts on Google’s help center. Review how to engage with the Google My Business API. Review the Google Developer Center instructions. The are quite detailed. Click here to contact me to discuss how to test and implement Google Posts in your Google My Business account. This is good news and goes some way to changing the Google Posts Not Quite Ready view I took shortly after launch. They were half-baked then, and whilst they are still not the best thing since sliced bread, automation makes them much, much better. Now, with API access, you can automate addition and removal, which means you can get round the short expiry date reasonably easily. If you run events, courses, special offers and the like, this should also make it much easier to control the listings. If you already run events type software which adds / manages listing for events, you should ask your vendor to add support for Google Posts and the API. This is an easy way to drive direct revenue benefit for very little effort. In the interests of fitness, I suppose, Google added a calorie counter feature to its Google Maps app when walking to a destination. 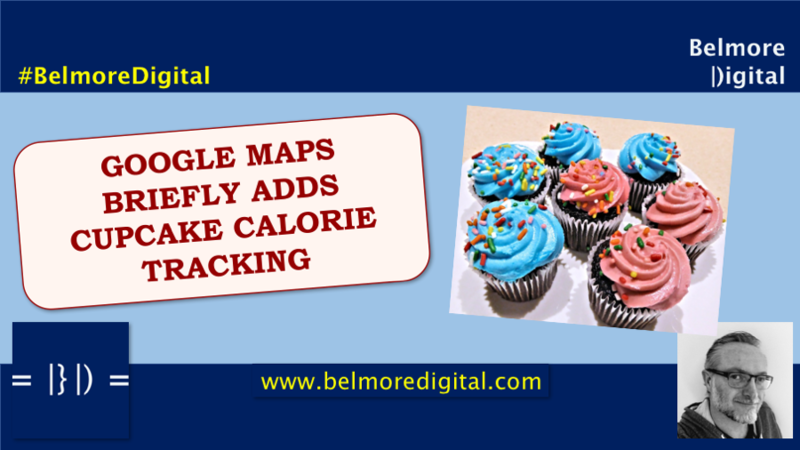 The feature also illustrated the calories used with the addition of cupcake images. Unsurprisingly, this “feature” was removed within 24 hours. This is slightly unfortunate but it is serious from the perspective of being careful what gets released and removing inappropriate things swiftly. Try to treat customers sensitively. Cupcakes for calories is not a particularly good example of this. Try to ensure team members don’t push a test live, if it was a test. If caught releasing insensitive material, remove it swiftly, apologise if needed. Click here to contact me to discuss the new cupcake / calorie metric to be used in dieting. I can only think this was a test, or a piece of design-thinking which was accidentally pushed live. Google is constantly testing and refining its products, and as we move inexorably away from our archaic alphabet-driven writing system to a new emoji language, this would have been a concept test of this. Of course, when we’re testing things we often put striking data or images into the test to make sure it stands out. Cupcakes for calories is by any stretch a striking piece of imagery. Perhaps next week, Google will include a “surely you can walk that far?” voice-reminder when we ask for directions to a place it deems walkable. The Moz contributor “goralewicz” ran an innocuous, but important test to see if googlebot would crawl pages which were served only over HTTP/2. This means you cannot switch HTTP/1.1 off yet. It also calls into question Google’s commitment to HTTP/2 – based on SPDY which they created and are now in the process of dropping. Do not switch HTTP/1.1 off, unless you want Googlebot to not crawl your site. Continue to optimise HTTP/1.1, as well as HTTP/2. 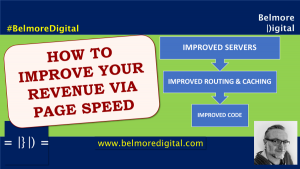 Click here to contact me to discuss website speed issues and how to improve it. 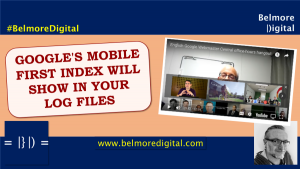 We should all know by now that website speed is a critical factor in usability, and will be a significant factor in the upcoming Google Mobile First Index. If your website loads slowly, users will bounce back, or abandon their search. This annoys users, and ultimately, annoys Google, as they are not giving their search users a good experience. 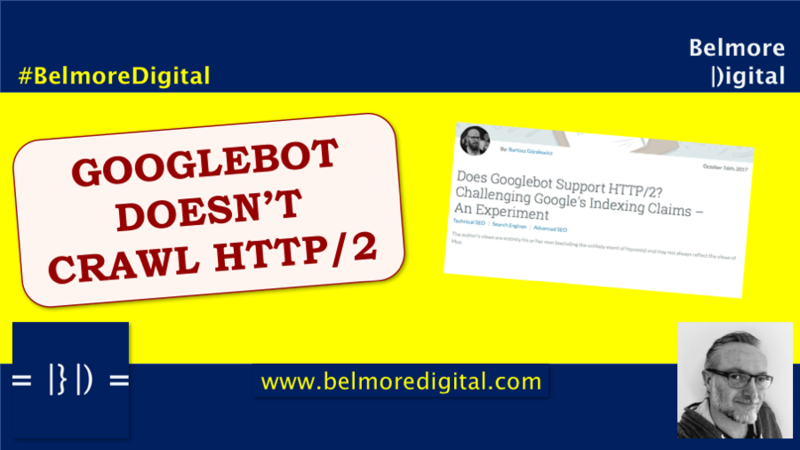 That said, although the ins and and outs to HTTP standards are deeply arcane and technical, it is a still a tad surprising that googlebot will not deal with a connection which is made solely over HTTP/2. It should in theory be a vastly more speedy connection and should make everything move along much, much faster. I haven’t been able to find the tweet. but I do recall John Mueller saying something along the lines of “googlebot doesn’t need to use HTTP/2” as it has alternative ways of speeding its downloads. Hmmmm. In the wild recently, Google has been testing new formats for SiteLinks. This was spotted by SE Roundtable fans. These line up vertically, instead of in the current two-column format. These are indicative of design shifts Google is slowly taking to be wholly mobile-first. 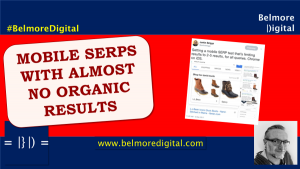 Be prepared for slightly different SiteLinks to be visible in SERPs for your brand. 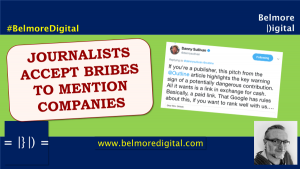 This could impact clicks from SiteLinks and real estate used by them. 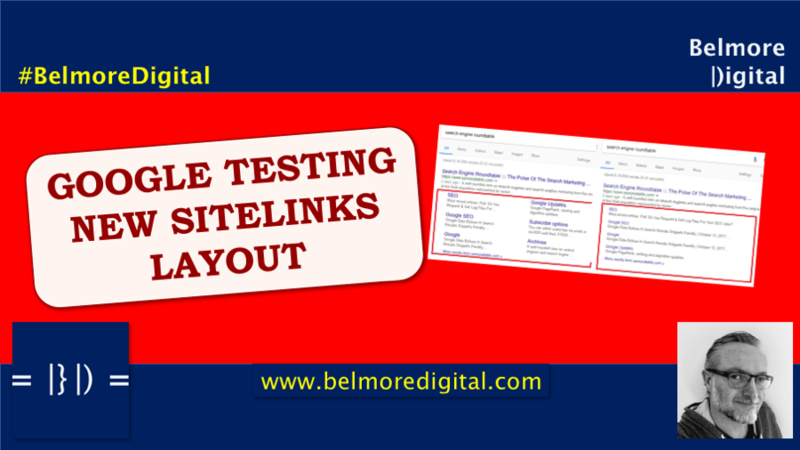 It’s not possible to completely control the SiteLinks displayed as they are algorithmically generated. 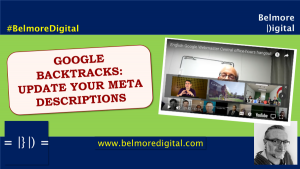 Like the Google algorithm itself, they can be influenced using IA, internal links and on-page text. You can also remove SiteLinks in Google Search Console. 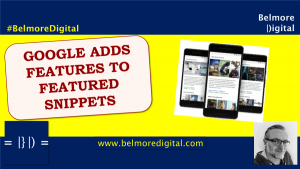 Click here to contact me to discuss how to influence the SiteLinks displayed for your brand. The 52 Shades of Blue company is at it again. Looking at the SiteLinks being tested, these would seem to be a single-column mobile-first layout. In fact if you look at a lot of Google’s design decisions over the last couple of years, they have slowly been moving to mobile-first approaches. This layout may never see the light of day again – it could have failed its test completely and have been consigned to the Design Dustbin along with Google+, the world’s most expensive intranet. 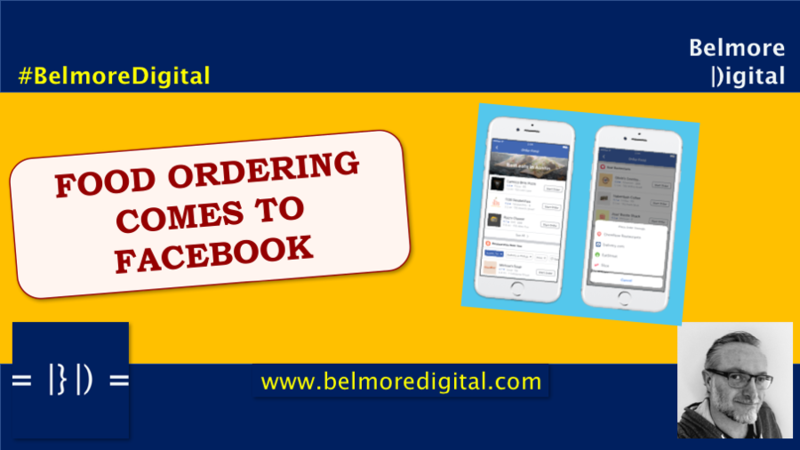 Facebook has launched a new food ordering service extension in the US, allowing users to order food from participating restaurants. This is nominally aimed at shortening the funnel from “check menu on Facebook”, “look at Facebook reviews” and “open app”, or “find website”, to link the menu or review actions directly to being able to order. Of course, this convenience also ties both parties tighter into the ecosystem. Facebook neglect to mention if there will be advertising options available to food companies shortly. If you’re in the US, check it out! If you’re not in the US, drool at the food you could be ordering if you were in the US. If you’re a restaurant, you need to investigate how to get your food options listed on Facebook. This slow turn into WeChat will continue. This is one of those “that’s handy, but I’m not sure I like it” developments. If I regularly ordered food from outlets on Facebook, then I’d say it’s great. Now I don’t have to click an extra button or two to order. Also if I wanted to order from unknown places, it’d be handy as the service can run through delivery aggregators. The trouble is that in most instances I’ve come across Facebook reviews are as useful as a chocolate fireguard: either 5-star “it’s okayish” reviews , or 1-star “something incredibly minor has ruined my entire life” reviews. The reviews are just not that useful. I have to say that if I regularly order food from a place, I tend to have their website bookmarked, or their app loaded, or the number in speed dial. Of more interest is that fact that Facebook as it slowly realises it’s dying (Facebook is Dead) is morphing into a one-stop, do everything brand a la AOL as was. The frustrating thing is that being out of the US, most of these fancy features are very slow to release, which means Facebook’s value to me, and other non-US users, diminishes further. 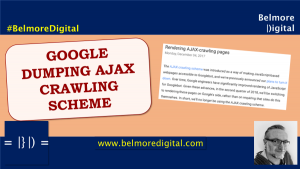 Google is pretty slow and unwieldy when it comes to changing or updating image URLs, so it’s best to try an ensure that image URLs just don’t change that often. A bit like what that chap Tim Berners-Lee recommended a while back. And priorities for Google. Remember Facebook Stories? Now Pages can have them as well. Which for Pages mean another thing they post busily, secure in the knowledge that Facebook won’t bother to surface it to users. Not that anybody looks at Facebook Stories anyway. Those silly websites that attempt to block the right-click (what is this, the 90s?) don’t suffer from an SEO perspective. Just from hordes of annoyed users who never bother to visit again. There are times when I wonder about my fellow SEO community members. Some of them want to use the Change of Address tool in Google Search Console for HTTPS migrations. Don’t be silly is what I say to them. The address part is URL related (technically the protocol is part of the the URL, but it’s also not). H/T John Mu on Twitter Yet Again. 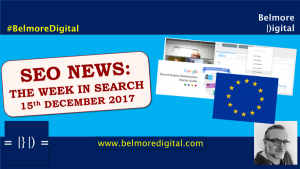 Click here to contact me to discuss any of these wondrous SEO Bits and Pieces further. Google has finally added Google Posts to the GMB API – hooray! It’s useful at last. Google stupidly tried to display calories used for walking directions in Maps as cupcakes. Seriously, Google? Despite what they say about HTTP/2, googlebot doesn’t bother to crawl it. Google has been testing new layouts for SiteLinks. No need to leave Facebook as you can now order food through it. If you’re in the US. 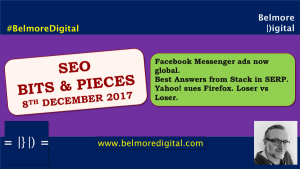 And some good SEO Bits and Pieces.